Inserted one per sealed box, cards mimic the base card design. 2000 Bowman Chrome Baseball marks a solid but not spectacular year for the brand. It has a couple of solid rookie cards on the checklist, but nothing spectacular. 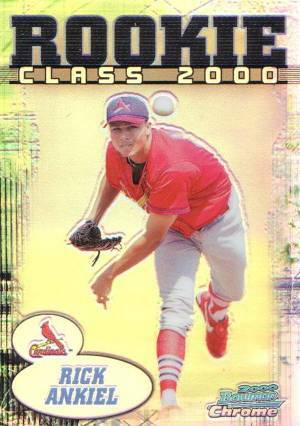 Part of the problem is that all the key rookie cards in 2000 Bowman Chrome Baseball are pitchers, generally a less desirable position among collectors. Although there are several insert sets, none have stood the test of time outside of basic player collecting. Like all Bowman Chrome sets, the base card design is merely a chromium version of base Bowman. Other than its clean, somewhat boxy design, 2000 Bowman Chrome Baseball is most notable for its one-year break from black borders. Instead, the set opts for grey. 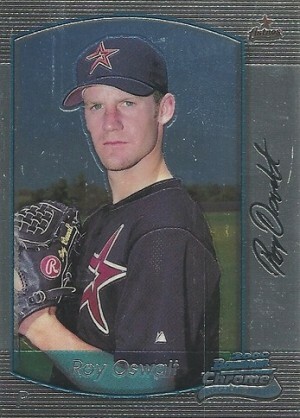 The best rookie card in 2000 Bowman Chrome Baseball belongs to Roy Oswalt. Beyond the long-time Astros ace, other key rookies are filled with pitchers who had epic drop-offs. These include Barry Zito, Ben Sheets, Francisco Rodriguez and Carlos Zambrano. Base cards have three parallels: Refractors, Retro/Future (use a console TV design that's already dated) and Retro/Future Refractors. Unlike 1999 Bowman Chrome Baseball, this set has no serial numbered parallels. 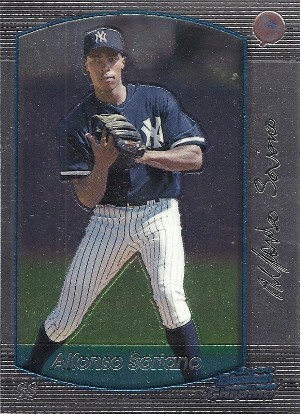 Hobby boxes come with one of eight Oversize cards that highlight popular 1999 rookies. 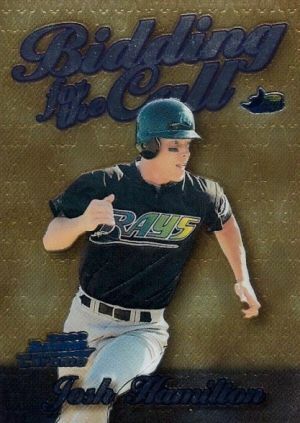 Bidding for the Call (15 cards, 1:16 packs) highlight key prospects from the time. 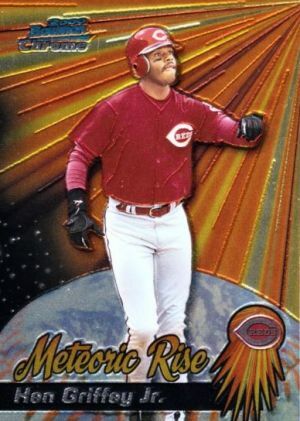 Meteoric Rise (10 cards, 1:24 packs) celebrate players who were All-Stars within their first two seasons. Rookie Class 2000 (10 cards, 1:24 packs) look at the key first-year standouts. 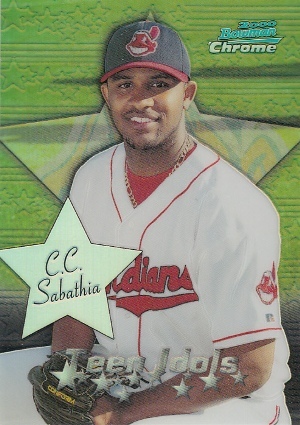 Teen Idols (15 cards, 1:16 packs) honor players who debuted as teenagers. All of the insert sets also have Refractor parallels inserted at ten times the odds of the regular cards. 2000 Bowman Chrome hobby boxes have 24 packs of four cards. 2000 Bowman Chrome #175 KEVIN MENCH RC Rookie! Graded PSA 9 MINT!! Looks like tombstones. The base set really, really looks like a bunch of tombstones. Drab. The Teen Idols cards are annoying. Feels like nothing but a bunch of filler. I mean the base set, and all 5 of the other sub-sets. Filler. This was the year that Bowman fell out of favor for me. Too many inserts. I still collect them, just because….